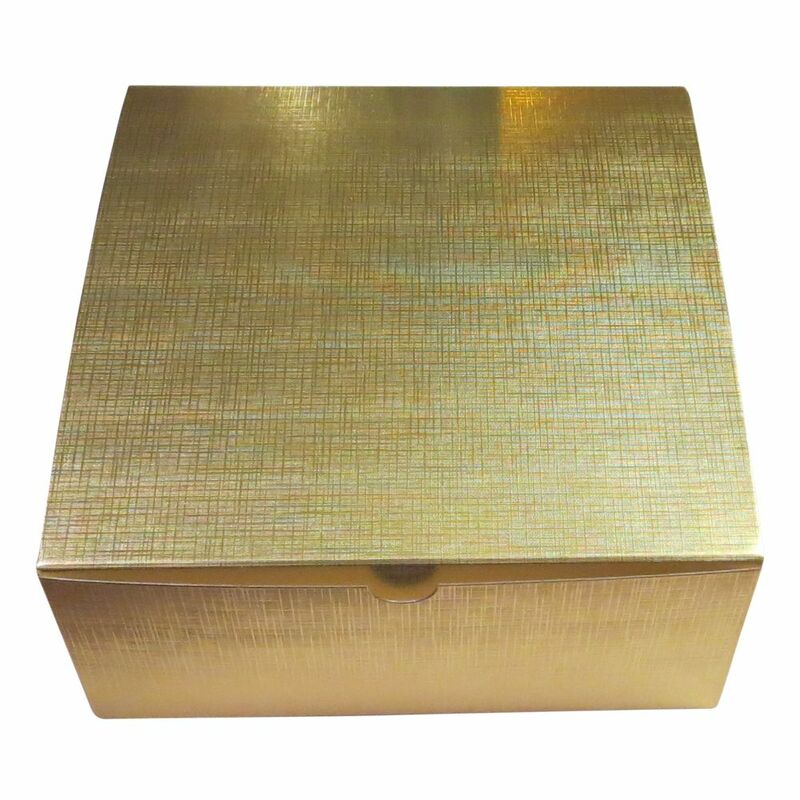 and presented in a gold foil gift box. The featured product in this honey gift box is a one pound jar of my Country Meadows Raw Wildflower Honey. What makes this honey taste so good? 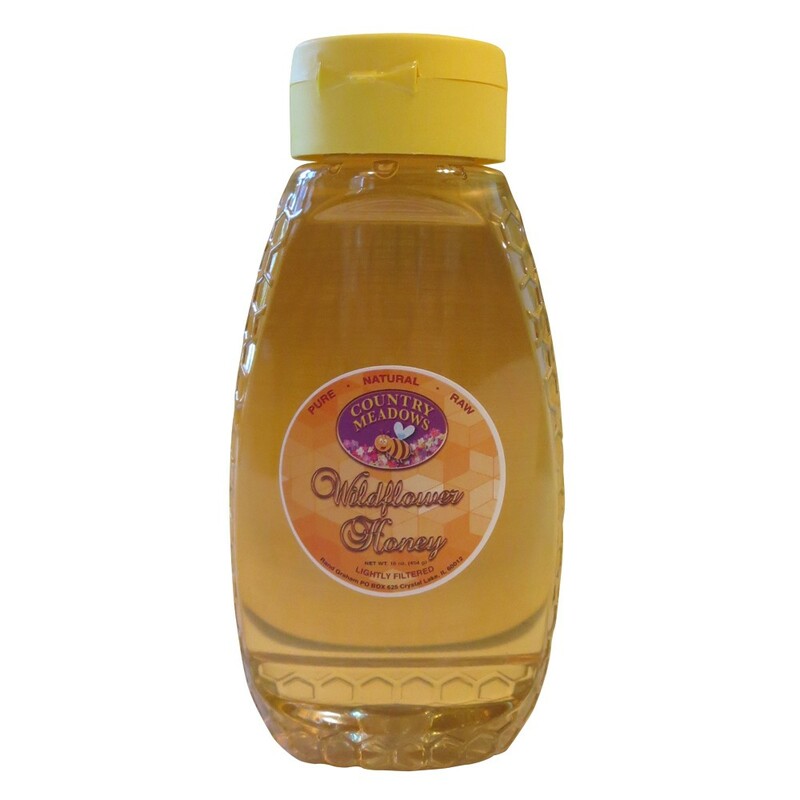 This honey is pure, raw and lightly filtered. I never add anything to my honey and never use chemicals in my beehives making this pure honey unadulterated. This honey was made from nectar gathered in northern Illinois and nothing else. My Country Meadows honey is raw. That means that I have never heated this honey. The fact is that heating honey above 110 degrees Fahrenheit changes the chemistry of the honey and alters the flavor. Honey is a complete product when the bees are done making it. Honey needs no further processing. Try this honey and you will taste honey just as the bees have made it. I use a single nylon filter when extracting this honey. The purpose of the filter is to remove large pieces of wax. Using a minimal filter allows trace amounts of pollen and wax to pass through, leaving the honey in as close to natural state as possible. The honey gift box comes with one handmade beeswax candle. Beeswax candles have been highly prized since ancient times. Pure beeswax candles with their delightful sweet fragrance burn longer, more cleanly, and give off more light than other wax candles. A skep is a straw or wicker beehive that was used in medieval times. The word ‘skep’ is thought to originate from the old Norse word ‘skeppe’ which was used to mean a basket. Although skeps are no longer used to keep honey bees, this candle honors the history of beekeeping by being cast into the mold of a skep. 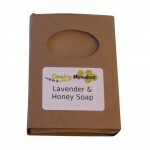 Why not enjoy the calming and soothing effects of this lavender soap by treating yourself to a bath? Know that when you do you will be carrying on thousands of years of tradition. 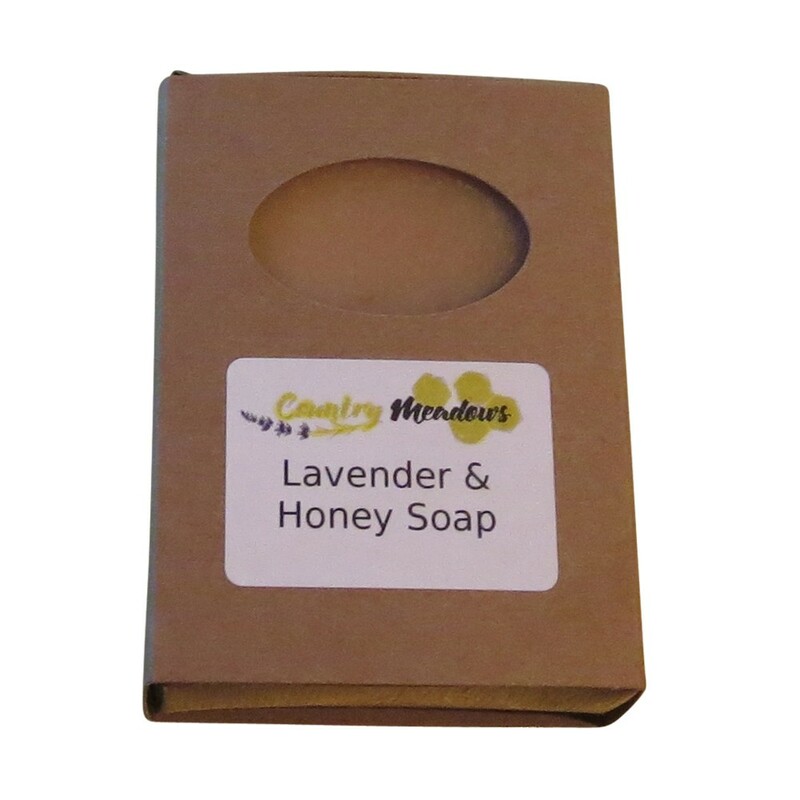 Lavender Honey Soap Ingredient List: saponified olive oil, coconut oil, palm oil, shea butter, cocoa butter, sweet almond oil, castor oil; goats milk; distilled water; lavender essential oil; honey; rosemary oleoresin extract (a natural antioxidant).